The 5820 Spring View mobile home floor plan is a very affordable design. 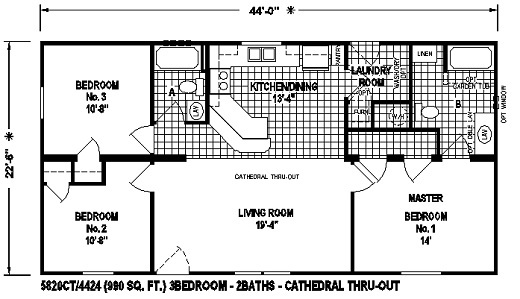 This floor plan offers 990 square feet of living space and is designed for those smaller building lots. It has a very well design layout and is very spacious.